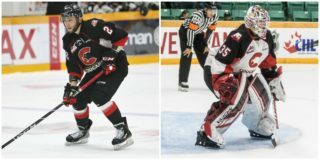 The Prince George Cougars Hockey Club announced they’ve acquired forward Mike MacLean (98), listed prospect Sam Schoenfeld (02) and a conditional draft pick from the Seattle Thunderbirds on Monday. 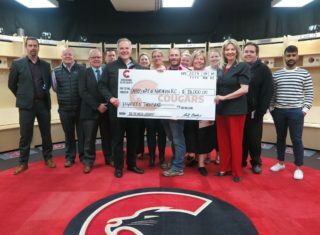 In exchange, the Cougars have sent listed prospect Keegan Craik (01) and a fifth-round selection in the 2019 WHL Bantam Draft to the Thunderbirds. 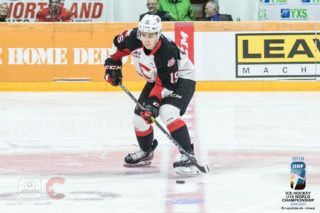 “MacLean is a big, physical winger who’s a late bloomer and someone we think still has a lot of untapped potential,” said Cougars General Manager Mark Lamb. MacLean, 20, is listed at 6’7 and 234 pound and split last season between the Thunderbirds and the Lloydminster Bobcats in the Alberta Junior Hockey League. The Penticton, BC, product played in 38 games with the T-Birds a season ago, where he picked up two goals and four points to go along with 42 penalty minutes. In five playoff games, he had a goal and an assist. 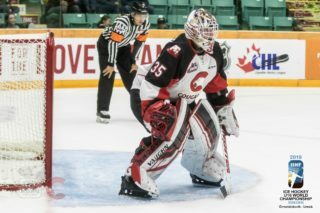 He made his WHL debut in December of 2017. 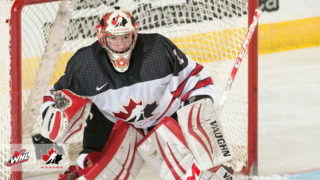 Schoenfeld, 16, played for the Okanagan Hockey Academy’s (OHA) Elite 15 team last season in the Canadian Sport School Hockey League. The 6’3, 180-pound defenseman had one goal and eight assists in 32 games. He will play for OHA Midget Prep Red this season. Craik was originally drafted by the Cougars in the fifth-round, 98thoverall, in the 2016 WHL Bantam Draft.